The Jeera Packer - A Rose Is A Rose Is A Rose! He was the best sharpshooter in the state. A true bullet artist. But he gave it all up to lead a happy, normal, stable life . . . with his loving wife and dear son. And that proved to be his undoing. 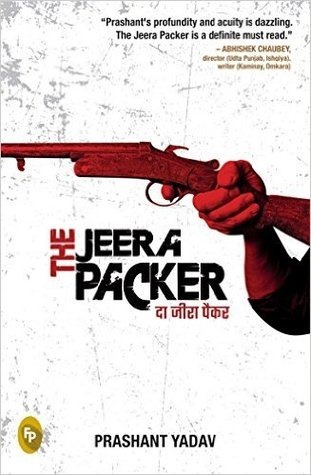 Resonant and deeply affecting, The Jeera Packer is the gripping tale of a man who after three decades of playing the happy family man returns to his profession of old for one final work—to shoot the chief minister. The Jeera Packer is a contemporary political crime thriller with characters, plot, setting, events, language mirror real life. It is a captivating read, Esha and hope you enjoy reading it too! I love thrillers and mysteries.This sounds a perfect combination for a quick read.Your review made me interested without revealing.Perfect balance! You must certainly check The Jeera Packer, Amrita! You’d love it too. Thanks. Glad you liked this review! Looks like a thrilling novel. Will look for it. Thanks for the nice review. Thanks SG. Yes, it is an engaging read and truly worth your time. Hope you enjoy reading it too. Shilpa, looks like you really loved this book. Since this book comes so highly recommended by you I will definitely read this thriller. Please do read this one, Sulekha, you will love it! Time to read a new author. The plot sounds intriguing. And your review is making me want to read this one. I will check out. This is Prashant’s debut novel and it is amazing. Do check it out and do share your feedback. Thanks Shilpa for the lovely words 🙂 Heartwarming to see you recommending the book :)) Can’t thank you enough. 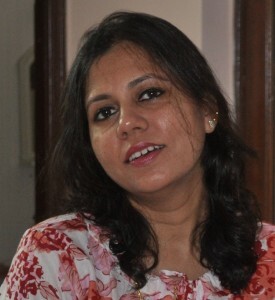 To all Shilpa’s readers who go on to read the book – pls share your feedback – bouquets or brickbats. Twitter would be an easy way.